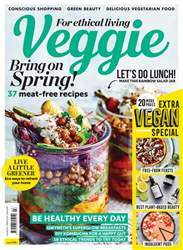 Get yourself organised for Christmas with our inspirational December issue! 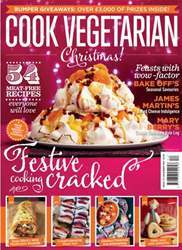 Discover top chefs' favourite Christmas mains including Rose Elliot's Wild Mushroom Roulade and James Martin's Baked Goat's Cheese. 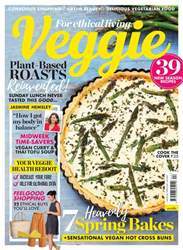 The Great British Bake Off team serve up a few sensational sides such as Gratin Dauphinois and Roasted Caremelised Shallots, while The Primrose Bakery makes Salted Caramel Cheesecake. 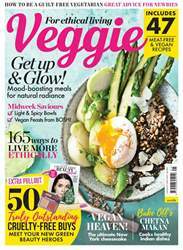 Plus, Xanthe Clay reveals the three ingredients that will save you from any Christmas disaster and Rose Elliot divulges how to make the festivities just that little bit easier. 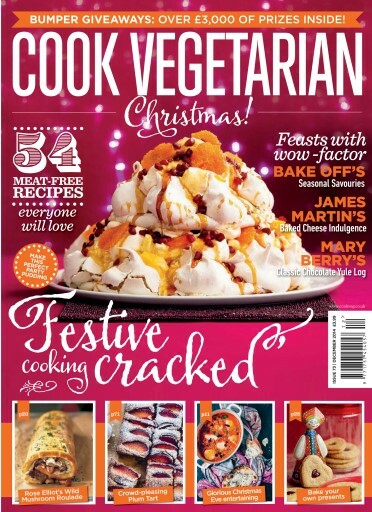 All this, and 54 meat-free recipes you'll love, in the December issue of Cook Vegetarian.